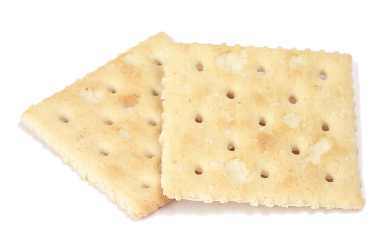 I’ve been sick for the past couple of days so I haven’t eaten anything exciting but wow do saltine crackers taste good when you’re sick. I polished off a lot (1 out of 4 sleeves in the larger box) while watching TV horizontally last night. I think it’s pretty amazing that they taste buttery and the texture is flaky, even when there’s no butter in the ingredients list. I don’t know if I should be scared about the chemicals that replaced the butter or happy that it’s only 1.5 grams of fat per serving. It sure is good with some ginger ale when you have a fever. posted by jessica	at 03:10 PM	Filed under Miscellaneous. You can follow any responses to this entry through the RSS 2.0 feed. Both comments and pings are currently closed.